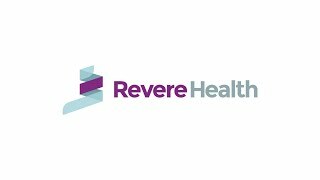 Revere Health Pleasant Grove OB/GYN and Women’s Center’s obstetrician/gynecologists, nurse practitioners, and certified nurse midwives provide exceptional care for women of all ages and throughout all states of life–from puberty through childbearing years, menopause and post-menopause. We’ve been serving women in northern Utah County for more than 40 years, specializing in OB/GYN services, primary care, well woman exams, prenatal care, pregnancy care and more. We accept major medical insurance plans and also proudly accept Medicaid and Medicare. We also provide care for patients who do not speak English as their primary language, with providers and staff who are bilingual in Spanish and Japanese. Our providers and staff truly revere your health above all else, and want to help you live better! Regular check-ups during pregnancy to ensure the health of the mother and child, and promote healthy lifestyles. Care for the six-week period following childbirth to help the body heal and adjust, and ensure the health of the baby. An exam for women to examine elements of their reproductive health including breast exams, pelvic exams, Pap smears, etc. Surgery of the female reproductive system including procedures to treat cancer, infertility and incontinence. Management of a woman’s unique menopause experience involving hormone replacement therapy, medications or other treatment. Routine cancer screenings including breast screenings and Pap smears to detect cancer early when it’s easiest to treat. Routine physical examinations in order for your doctor to assess your health and prevent future complications. Treatment of the inability to conceive children, including fertility medication, surgery and other therapies. Vaginal bleeding after a woman has gone through menopause. Postmenopausal bleeding can indicate serious medical problems. Surgical sterilization procedures are a safe, highly effective, permanent and convenient form of contraception. A surgical procedure that destroys the uterine lining, used to treat abnormal uterine bleeding or reduce menstrual flow. A pregnancy is categorized as high risk if a woman or her baby is at an increased risk of health problems or death.